We drove out to VA because of the great prices and selections advertised for TDIs. It did not disappoint. The showroom was large, clean and comfortable. The staff were professional and attentive. We worked with Peter, he's the new awesome salesman. He was patient, answered all of our questions and didn't lay on the greasy sales pitch tactics. Really pleasant. We are so happy with our purchase. We didn't feel nickeled or dined. We were not pressured into "extras" we didn't need. We were treated with dignity and respect , a rarity when buying cars nowadays. The entire process was smooth, straight forward and simple. VWs are one of the best cars around. We shopped several dealers, and Lindsay gave us the best deal all around. I'd return without question. Highly recommended! My husband and I have bought 7 VWs between the two of us. We've tried all of the other VW dealerships in the our area for sales, parts, and service, but Lindsay has consistently provided the best experience. Recently I tried to get a hitch put on my Tiguan and tried a local VW dealerships for that service; however, after waiting an hour, I was told they ordered the wrong parts and would need to keep my car overnight. No thank you. Lindsay is 40 miles from our house, and we pass at least 5 other VW dealerships on the way, but for anything other than an oil change, we will be taking our cars to Lindsay for service and definitely the only place we will buy a car. For buying a car, recommend either Alfonso or Chuck; they have different styles of selling, but they are both very good. Had an excellent experience with buying a vehicle here! Fady was very helpful all the way trough the transaction - from initial email inquiry to selection of the wanted car, answering all the questions, keeping in touch and finally putting new plates on.Will recommend this VW store to everyone and give his name to all my friends for the best care and service.Thank you Fady! After months of searching for the right SUV, at the price, and dealing with high-pressure salespeople, I finally drove 75 miles from Baltimore to Sterling, VA to buy a 2019 VW Atlas SEL Premium 4Motion SUV from Lindsay VW. Lindsay VW had the right SUV, at the right price, and the right salesperson. I have nothing but praise for my salesperson Bob Derby, who took the time to promptly follow up on my countless emails and text messages and ultimately found me the VW Atlas that I was looking for. He was extremely patient and didn't pressure me one bit. He is a true professional and an absolute pleasure to work with. He is the guy to see if you want to find and the right vehicle, at the right price and don't want to deal with all the high-pressure BS that most dealers put you through. 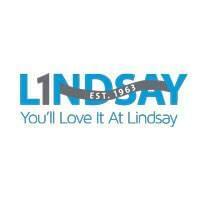 Lindsay Volkswagen of Dulles is proudly serving Dulles, VA and the surrounding area. We are a locally owned and operated dealership that goes above and beyond to offer everyday low prices and unmatched customer service. We are your one stop shop for everything from oil changes to new and pre-owned car sales. Here at Lindsay Volkswagen of Dulles we offer the complete lineup of new award-winning Volkswagen vehicles such as the Jetta and Golf. We also carry a large selection of certified pre-owned Volkswagen vehicles that come with a factory warranty and peace of mind. Our dealership takes pride in going above and beyond to exceed the expectations of all our customers. So we encourage you to stop in and visit with one of our expert sales associates today. We are the Largest VW dealer in the state of VA and the #1 VW Volume Dealer in the Mid-Atlantic*. We are conveniently located minutes from VW North American Headquarters, in a neighborhood setting – not a busy strip mall or auto park. We have thousands of vehicles available with more new and Certified Pre-Owned VW models on the road than anyone else in our area. We will buy your current vehicle even if you don’t buy one from us. We offer CareFree Maintenance on your new VW. Customers tell us we have the yummiest coffee around. We are a family run business. More customers return to us for service than any other dealers in the area. We maintain the highest ratings in online reviews and customer satisfaction receiving awards and accolades including the 2017 DealerRater Customer Satisfaction Award AND Dealer of the Year, 2017 Edmunds 5 Star Award, 2016 Sales Satisfaction Champions for the Washington DC Area, and the 2014 J.D. Power CSI Study ranked our service department 4th highest in the nation!